Mark Your Calendars! The next Wilkin’s RV Free RV Seminar is taking place on November 11th. Join us on Saturday, November 11th at one of the Wilkin’s RV locations in Bath, Churchville or Victor, NY to learn more about your RV’s electrical systems. Classes start at 10am with a 15 minute break in between each topic. This very important seminar will give you a working understanding of your RV’s various electrical systems. 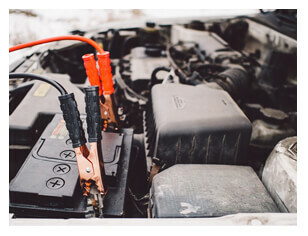 Learn about the capabilities and limitations of your RV’s electrical components and how to maintain them to prevent issues down the road. After a 15 minute break we will discuss the various electrical components in your RV. As RVs have advanced, so have the electronics within them. Make sure you’re getting the most out of your RV investment. We’ll show you how to use all those cool new gadgets you’ve been wondering about. Register Today! 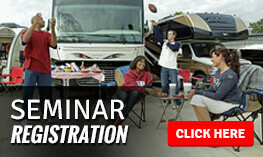 Space is limited so make sure you reserve your spot for this Free RV Seminar. We’ll see you there!